Thomas the Tank is BACK! And He’s Bringing Gary Ablett Jnr For the Ride! Hold onto your engines, Thomas the Tank fans! Everyone’s favourite little blue train is back in town and he’s bringing a whole whack of footy legends with him. 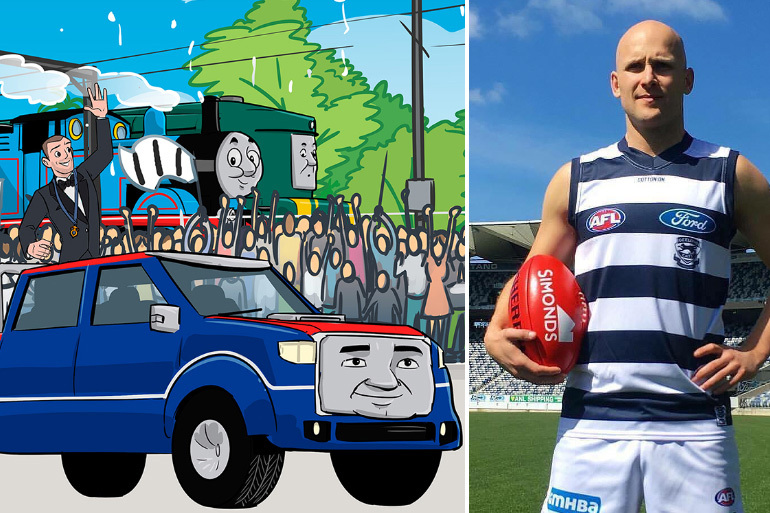 For the second year in a row, Thomas & Friends has partnered with the AFL to create THREE new episodes of every train-mad preschooler’s favourite cartoon.. And this time Geelong’s favourite footy son, Gary Ablett Jr, is coming along for the ride. 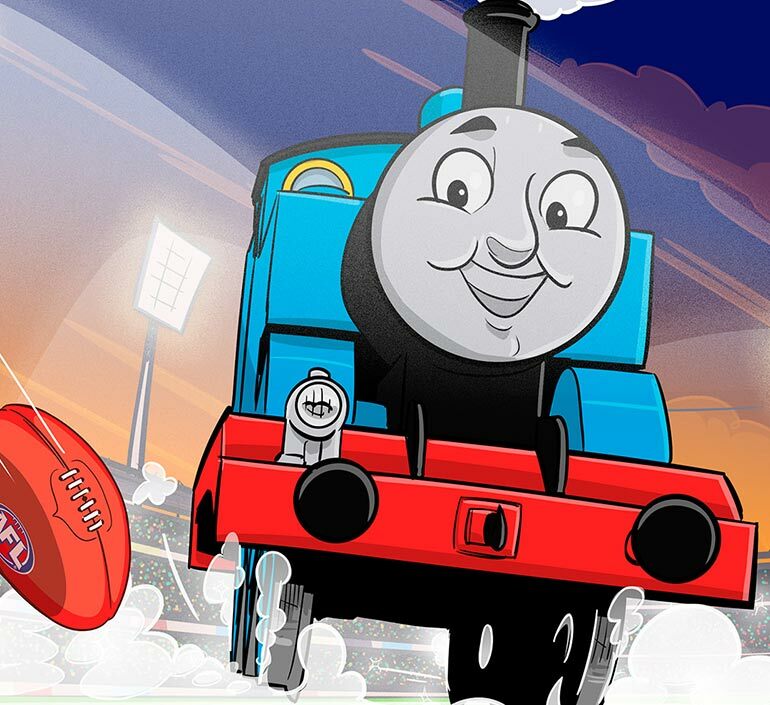 Gazza, who normally lets his long kick do the talking, is lending his voice to Gary the Ute in a special Grand Final edition of Thomas & Friends. 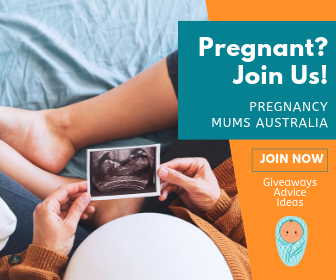 And the first-time dad-to-be is chuffed to join in the fun. Take a look at all three footy-inspired videos below. 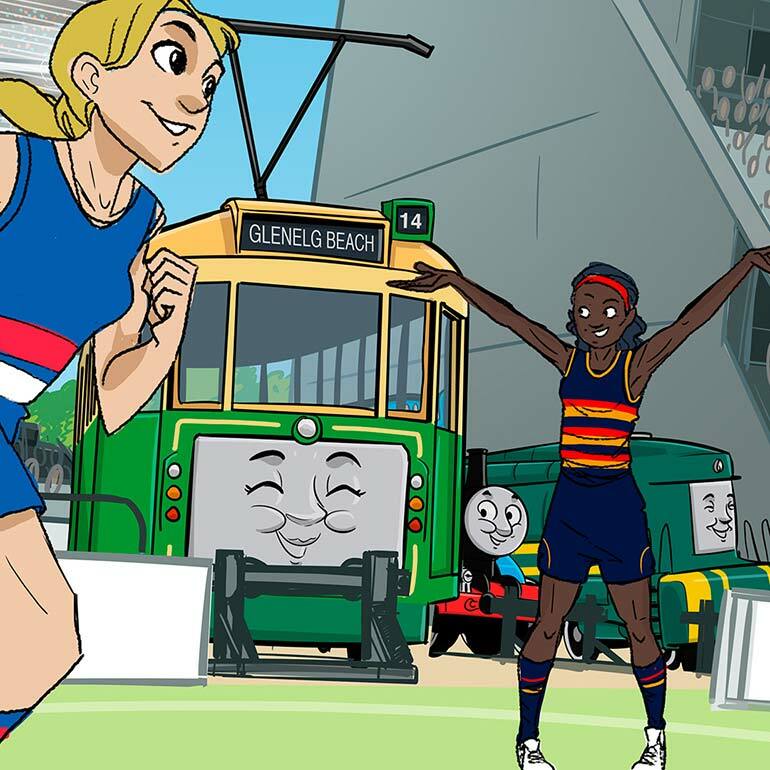 Gazza joins Shane the Train (voiced by Richmond star Matthew Richardson) and Tracy the Tram (aka Brisbane Lions AFL Women’s legend Sabrina Frederick-Traub) in a search around Australia to find the missing 2018 AFL Premiership Cup. Season two of Thomas & Friends’ AFL adventure is available to view now on YouTube. Season one is also still available for Thomas fans to catch up on. Full steam ahead we say! Footy mad household? While the kids are checking out the AFL videos, make sure you check out these 51 footy inspired baby names.